Enter contest below to win products for your kids’ comfort. 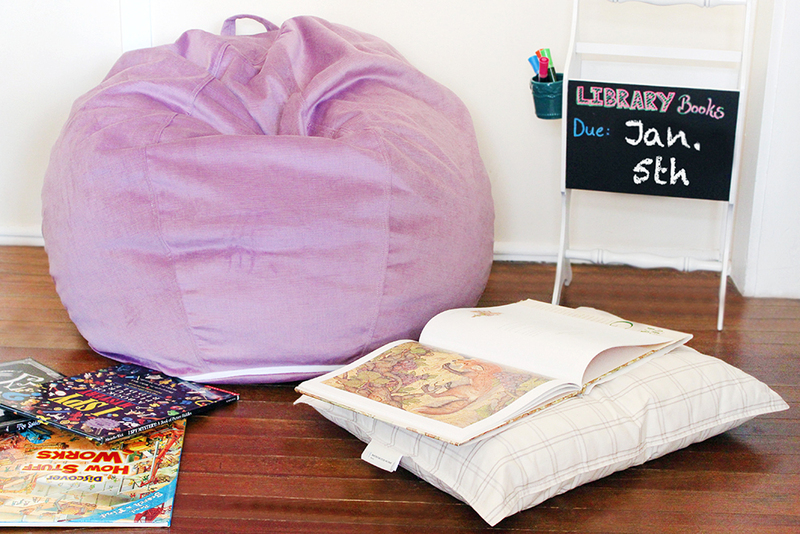 You can get a free kids space bundle that consists of lounger and pillow. 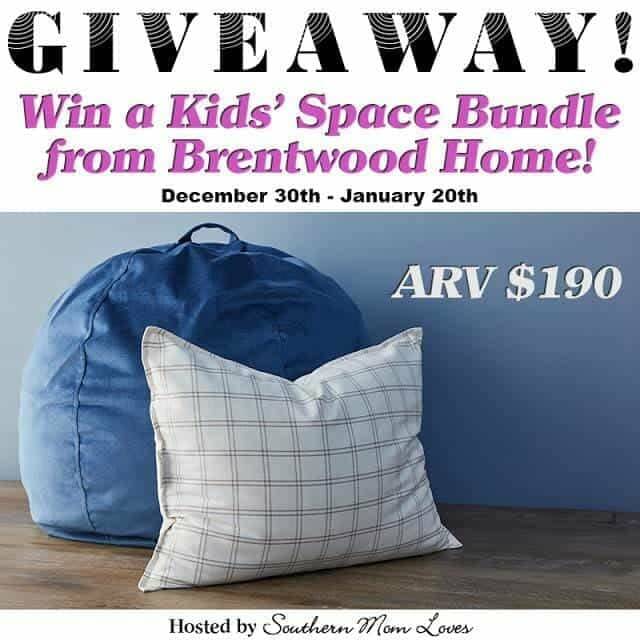 Welcome to the Brentwood Home Kids Space Bundle Giveaway! I’ve got a bundle for your kids that’s sure to turn nap time into their favorite time. Holly from Southern Mom Loves teamed up with the folks at Brentwood Home for this awesome giveaway, featuring comfy bedroom essentials for your little ones. Not only are they adorable with fun colors and playful patterns, they’re made with healthy, natural materials that are safe for you and your home. Read on to win! Read Holly’s review here, then enter to win it for yourself! Giveaway begins on 12/30/16 at 1:00 am CST and ends on 1/20/17 at 11:59 pm CST. Must be 18 years or older, open to residents of the US only. Once confirmed, the winners will be added to the Southern Mom Loves Winner’s List. Disclaimer: Work Money Fun and other participating bloggers were not compensated for this post. No purchase is necessary to enter. One entrant per household, per IP address. All entries will be verified. Void where prohibited by law. Winner will be contacted by email; Please add [email protected] to your whitelist. Brentwood Home will be responsible for prize delivery to the winner. This giveaway is in no way administered, sponsored, endorsed by, or associated with Facebook and/or Twitter, Google, Pinterest, or any other social media platform. I really think the meditation pillow would be nice. I love the Runyon Deluxe Pet Bed. My dog would love this! Going to dog it !!!!!!!!!! I really like the Crystl Cove Meditation Pillow! I would really like to try out the meditation pillow. It sounds really relaxing. We love the Runyon Deluxe Pet Bed. We have been wanting something like that. i really like the Runyon Deluxe Pet Bed. I love the Coronado mattress. RUNYON DELUXE DOG BED IS WHAT I LIKE. I LOVE WORK MONEY FUN! This is such a great site. Thanks for the chance to win!! memory foam mattress looks great! i had never heard of a latex mattress before, now im gonna go to the store and check them out. i hate my foam mattress. the mirador mattress! I am in love with their “Runyon Deluxe Pet Bed”, my dogs are very spoiled so this fancy bed would be fitting! I also like the Runyon pet bed, which would be just perfect for any of our animals. I like the Del Mar Mattress (it’s made to order in California) and the Meditation Pillow. My kitty would try and take the pillow from me, but I think she’d share the mattress, LOL. I like the Coronado mattress. It looks nice. There would be nothing better than to slip into bed with the Sonoma Sheet set made of 100% cotton! I love the Runyon Deluxe Pet bed! My dog would be in love to lay in her favorite spot on that! I really like the Venice Lounger. My son would lay on that thing all day, haha! I could really use the meditation pillow! The gel memory foam looks like it would help my joints and pressure points! The Coronado Memory Mattress would be awesome! The Crystal Cove Meditation Pillow is my item of choice. I like the Runyon Deluxe Pet Bed as well as the replacement covers. I can see my dog and cat using it at the same time! Definitely loving the meditation pillow, as well as the changing pad and pet beds. Lovely items! I would love the Queen sized Beachwood Linen Quilt in the color Slate. It looks nice. I think that the Coronado Mattress sounds wonderful to sleep on! I would love to have the Runyon Deluxe Pet Bed for my fur babies, I know they would love it! I like the Griffith Pet Bed because my dog deserves to have something comfortable to rest on. i really like their body pillows! they would be so nice!